Retail $6.95 SAVE 23% ! Base, knobs and supporting plate included. "Good stand for the price"
These small flight stands are really nice for the price. They work great for 1/48 scale F-16s and most 1/48 scale single seat WW2-era fighters. The side pieces are molded differently on each edge, thus allowing you adujst the stand for the model being displayed. 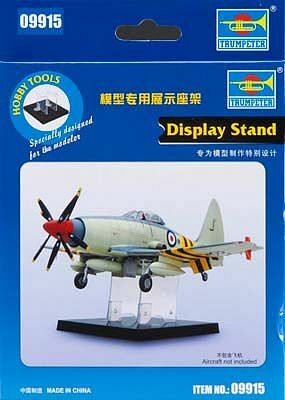 These stands won&apos;t really work for larger 1/48 aircraft such as F-15s or F-106s, but work great for smaller 1/48 aircraft or smaller scale models. Highly recomended, especially for the price.